July 1, 2013 – Uri leader Park Jungsoo’s birthday. When I was starting to like about Super Junior. I was not so interested with Leeteuk. I don’t find him handsome so I barely check updates about him. But as the day passes, watching varieties where he is part I came to like him. I regret having a not so good first impression about him. He is really an angel. All his sacrifices T_T as a trainee and up until now. He doesn’t deserve any hate thrown at him. Ahh its his birthday this should be a congratulatory post but here I am so emotional XD. To cut my drama short. I am blessed to be an ELF. In many ways this man inspires me a lot. Whenever I feel like giving up I just think about all the hardships he faced just to fulfill his dreams. I just think about all the hates thrown at him which he dodge gracefully. I just think about the everlasting love he give to his loved ones and to us his angels. 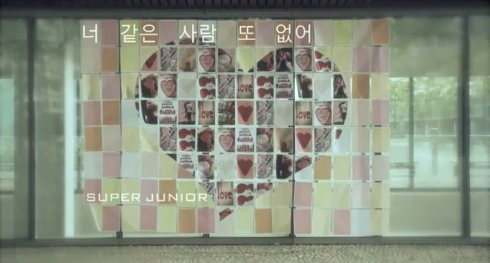 This entry was posted in Korean, Super Junior and tagged angel, happy birthday, Leader, Leeteuk, Park Jungsoo, super junior. Bookmark the permalink.